Special CBI judge J K Pandya was hearing discharge applications of Vanzara and another retired Gujarat Police officer, N K Amin, in the Ishrat alleged fake encounter case. AHMEDABAD: Countering a plea filed by the mother of Ishrat Jahan, who was killed in an alleged fake encounter, former IPS official D G Vanzara's lawyer today cited US national David Headley's testimony to claim that Jahan had links with terrorists. Vanzara's lawyer advocate V D Gajjar contended that Ishrat was not innocent as claimed by her mother Shamima Kauser. Kauser moved the special CBI court yesterday, opposing the discharge applications of Vanzara and Amin. After hearing the arguments today, the judge said he would pass an order on the discharge applications on August 4. Kauser claimed in her application that there is a "clinching evidence" against both the accused. Evidence showed that Vanzara and Amin were on the spot when Jahan and three others were shot dead in 2004, she claimed. Vanzara's lawyer raked up the testimony of Headley, a US national arrested by the Federal Bureau of Investigation (FBI) for terror links. Gajjar said the CBI had informed the Supreme Court in 2013 that Headley had admitted before the US agency that Ishrat was associated with the terrorist outfit Lashkar-e-Taiba. 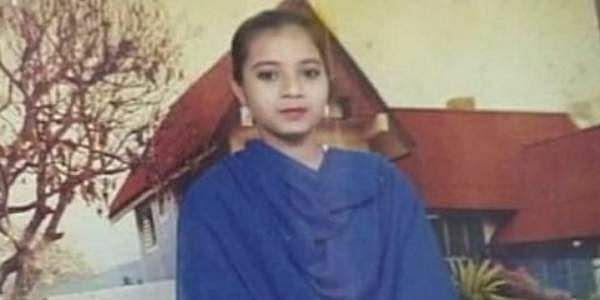 FBI named Ishrat as a terrorist, and these details were shared with the Indian agencies in 2013, Vanzara's lawyer said. Vanzara has sought discharge on the ground of parity with former in-charge DGP of Gujarat P P Pandey, who was discharged in the case in February for want of evidence. The charge sheet filed against him by the CBI was "concocted" and there was "no prosecutable material" against him, said Vanzara, a former Gujarat ATS chief. Jahan (19), a college-going woman from Mumbra near Mumbai, Javed Shaikh alias Pranesh Pillai, Amjadali Akbarali Rana and Zeeshan Johar were killed by the police in the 'encounter' on the outskirts of Ahmedabad on June 15, 2004. Police claimed that they were terrorists, plotting to kill Narendra Modi, the then chief minister of Gujarat. The CBI probe found that it was a fake encounter. The agency has named seven police officials as accused in its charge sheet.